HealthDay News — Patients with hypertension with progression of periventricular white matter hyperintensities have an increased risk for incident mild cognitive impairment, according to a study published online Jan. 4 in Hypertension. 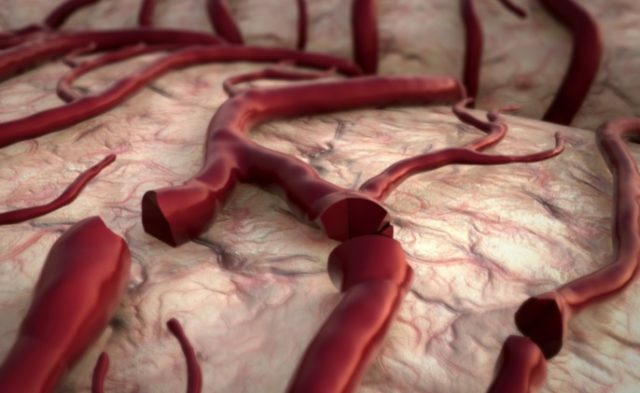 Joan Jiménez-Balado, from the Universitat Autònoma de Barcelona in Spain, and colleagues used data from a longitudinal population-based study on hypertensive patients aged 50 to 70 years to examine how changes in cerebral small vessel disease (cSVD) lesions relate to cognitive decline. At baseline and follow-up, patients underwent brain magnetic resonance imaging and a cognitive screening test. A total of 345 patients were followed for 3.95 years. The researchers found that 9.1 percent of the sample was diagnosed with incident mild cognitive impairment. The prevalence of incident infarcts was 6.1 percent, incident cerebral microbleeds was 5.5 percent, progression of periventricular white matter hyperintensities was 22 percent, and progression of deep white matter hyperintensities was 48 percent, considering the progression of cSVD. Compared with patients without progression of periventricular white matter hyperintensities, those with marked progression showed a significant decrease in global cognition (adjusted mean, −0.519) and a higher risk for incident mild cognitive impairment (odds ratio, 6.184). “The brain is an organ exposed to a high volume of blood flow and it is very vulnerable to sustained high blood pressure levels, and this might be happening silently or with mild symptoms, but that doesn’t mean there aren’t consequences,” Jiménez-Balado said in a statement.